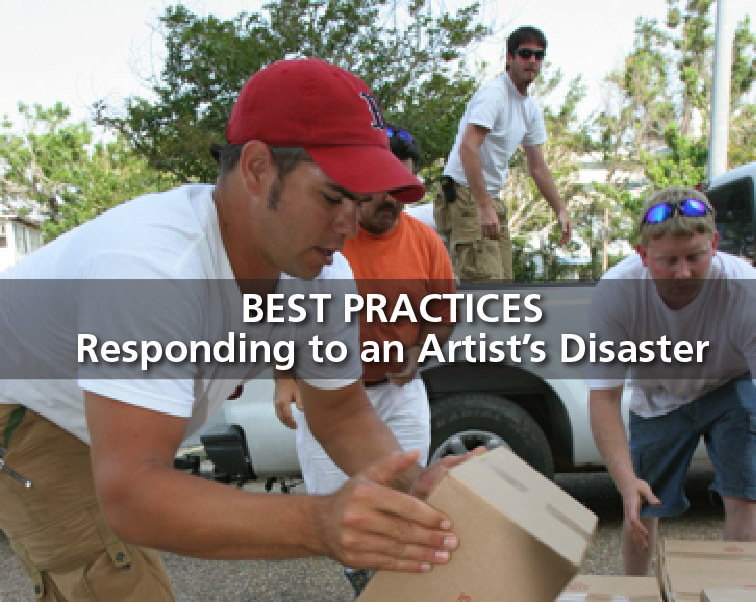 Individuals and communities who help artists recover are invaluable. Mixed media artist Gregory Warmack (aka Mr. Imagination) surveys the 2008 fire damage at his Bethlehem, PA home and studio. Glass artist Ricky Bernstein work with friends to rebuild his studio after a 2008 fire. Ceramic artist Andrea Christie (now of Austin, TX) begins the cleanup of her New Orleans home and studio after Hurricane Katrina in 2005. Rhode Island glass artist Tracy Glover takes a break from cleaning up her studio that was flooded in 2010.